How two brothers are using their coffee-farming income to sow the seeds of knowledge in their community. At the Mikiga Secondary School in Mbinga, Tanzania, students don’t just learn math and English – they also learn how to grow coffee. That is only fitting, as most of the 241 students come from coffee-farming families, and the school owes its very existence to the crop. The brothers both have off-farm jobs to cover their living expenses, but they use the income from their combined four hectares of coffee trees to help fund the school’s operations. And that income has increased after the brothers participated in the Coffee Initiative, a partnership between TechnoServe and the Bill & Melinda Gates Foundation that has helped nearly 270,000 coffee farmers to improve their livelihoods. 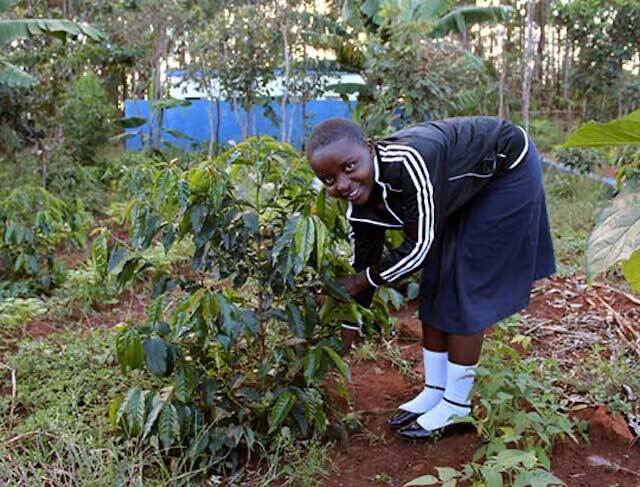 Student Jackline Kelvin Milinga tends to young coffee trees on Mikiga Secondary School's demonstration plot. Through the initiative’s Farm College training program, the brothers learned how to make compost, more effectively and efficiently use fertilizers, improve productivity by stumping their older trees, and use pruning shears – rather than a machete – to prune trees. The improved farming techniques, and the doubling of their number of coffee trees, helped them triple their coffee production between 2011 and 2014. As a result of rising market prices their coffee income quadrupled from $2,000 to $8,000 over the same time period. 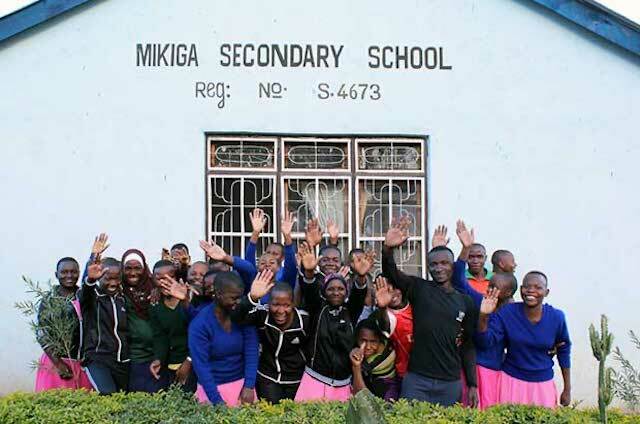 Now, the Mikiga Secondary School is sharing that knowledge with a new generation. “I often come to the demo plot to see the growth of the coffee trees,” said Jackline Kelvin Milinga, a fourth-form student. “I remember when they were just seedlings! On this demo plot I learned how to do proper weeding and pruning. I will definitely implement this knowledge in my family’s farm.” Jackline hopes to attend university so that she can learn even more about agronomy.